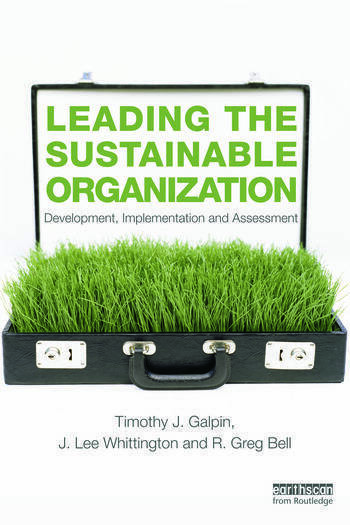 This book is the first to combine the much talked about topics of leadership and sustainability, and provides readers with a comprehensive overview and pragmatic approach to leading sustainable organizations. Timothy Galpin is an Assistant Professor at Colorado Mesa University. He has over 20 years of experience as a management consultant and business manager working with firms around the world. J. Lee is Professor of Management at the University of Dallas. He focuses his teaching, research, and consulting in the areas of Leadership, Organizational Behavior, and Spiritual Leadership. R. Greg Bell received his Ph.D. in Strategic Management from the University of Texas at Arlington, and is currently serving as an Assistant Professor at the University of Dallas - Graduate School of Management.